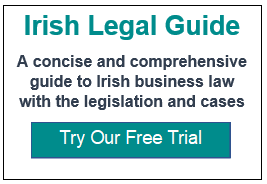 Brexit Legal contains over 650 articles on the various legal aspects of Brexit and Brexit related issues. It does not offer opinions or judge the merits of Brexit. It does not follow the ongoing political aspects of the process. It cannot predict the outcome or consequences. The European Union is a unique political and legal structure. No other international body has the same range and depth of institutions, structures and laws. The European Union embodies over sixty years of compromise and cooperation, an evolution reflected in its change of name from the European Economic Community to the European Union. Since 1973 the laws and institutions of the what is now the European Union, have become an integral of the legal, political and business landscape in Britain and in Ireland. EU legislation affects almost every area of law and is the basis of regulation in many sectors. Brexit involves an unprecedented disentanglement of laws and institutions. The final extent and nature of Brexit is unknown. There will be numerous macro level and micro level changes at once, or over a short time. Brexit has been described as disrupting an ecosystem. The cumulative effects of the multiple changes that are likely to occur, is unpredictable in many, if not most cases. Brexit Legal seeks to shine light on the process and the possible outcomes by presenting the key legal aspects of the Brexit process, describing what the European Union is and what is does, describing the key issues involved in leaving and the possible legal and regulatory landscape of a post-Brexit world. Brexit Legal focuses on the key issues such as withdrawal, free movement, trade and the new relationship while giving a broad overview of the more general “cross-cutting” issues. Our index of topics is in the right margin and is largely self-explanatory. The user can navigate down to the relevant topic and open the relevant article. 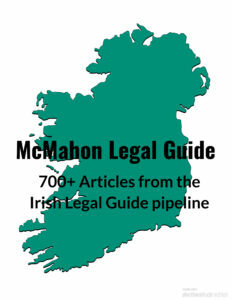 Brexit Legal is published by McMahon Legal, Solicitors. McMahon Legal advises Irish businesses in relation to the risks and issues that arise from Brexit. It assists businesses in planning for the risks that affect their sector and circumstances. 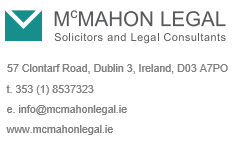 Brexit Legal has been written by Paul McMahon who has practised as a solicitor in Ireland for over 25 years. He also practised as an England and Wales solicitor for many years. Paul is also a chartered tax advisor and has qualifications in banking, finance and compliance. Paul has also written Irish Legal Guide which is a concise and comprehensive guide to Irish law. The modules on the areas of law relevant to business are now available. 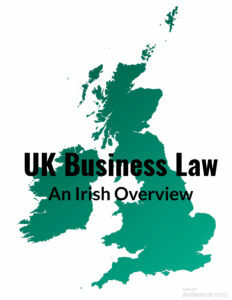 Paul has also written UK Legal which gives an overview of doing business in and with the United Kingdom, for Irish businesses and individuals. Most Articles in Brexit Legal are the author’s summary or overview of the topic in question. Some articles are edited versions of public sector information, which are republished under the UK, EU or Irish legislation concerned. The author has no liability for errors and omissions. See the Disclaimer.